About 70% of Shambala’s total waste comes from the public campsites. The Isle of Wight Festival estimates that 1 or 2 out of every 6 tents is left behind in the campsites. 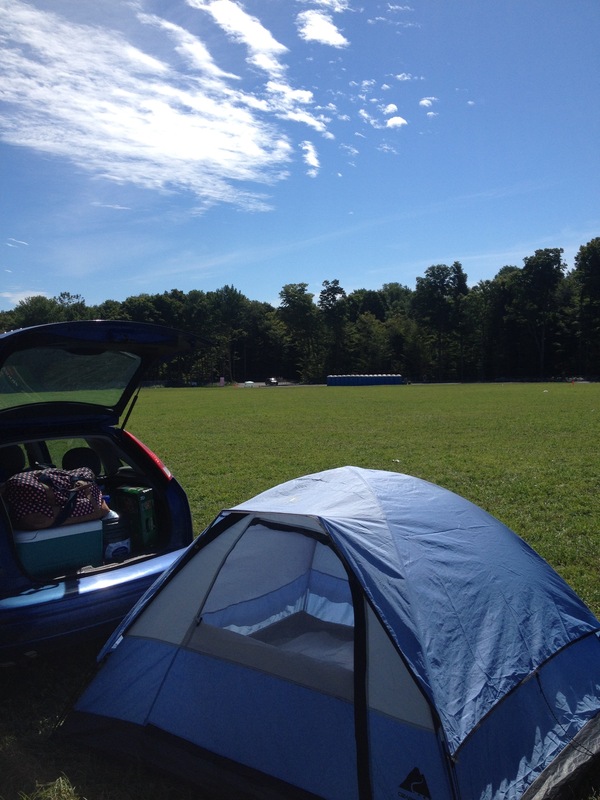 It was estimated that 12,000 tents were left behind in 2011. 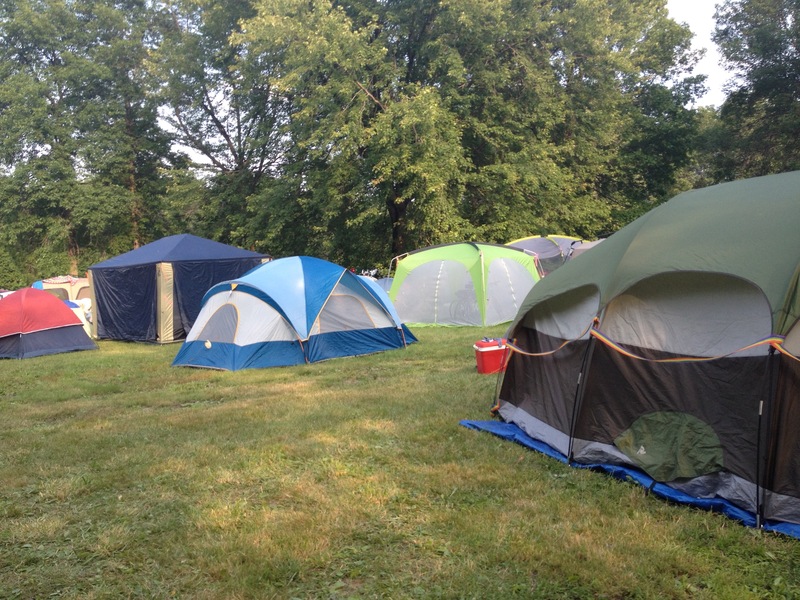 Festivals with camping facilities find that up to 80% of their total waste will come from the campsite, according to a Bucks New University survey of festival goers' behavior. 71% of waste left on campsites at festivals caused lasting land damage to the festival sites. At Splore Festival about 60% of all waste came out of the campsites on the last day creating a huge load on the sorting team. Throughout the campsite at Mariposa Folk Festival are multiple waste stations. They provide waste bins, recycling bins, and compost bins. The bins have plastic bags in them so that campers can more easily see what type of materials go in each, and there is signage to clearly depicting what goes where to reduce the amount going from the campsite to the landfill. Coachella provides a free train ride exclusively for Coachella campers who didn’t have to drive to the festival. After the festival you can leave dismantled and packed tents and shelters at the info points. They will be used for the next festival to make festival decorations and other nice stuff. Those who recycle a tent get a surprise gift! Love your tent is a campaign created by Eco-Action Partnership in association with A Greener Festival and the Isle of Wight Festival. The campaign is designed to bond people with their portable homes and encourage them to reuse instead of discarding them. Left behind tents causes a huge problem for many festivals each year – not to mention the environmental impact. The aim is to make the process of getting up and leaving absolutely everything behind you after the event has finished, in order for somebody else to have clear it all up, completely socially unacceptable. This campaign is about behaviour change and we want to encourage people to have more respect, both for their environment and definitely for themselves. Clean Out Loud is a trash project focusing on changing the way festival participants deal with trash. The goal of the program is to leave one of the entire camping sections completely cleaned. It will only succeed if all camps participate wholeheartedly. It isn’t that difficult: all you have to do is keep your own camp clean, and when you leave at the end of the festival you just have to make sure to leave nothing behind. Recycling bags are given out in the campsites for different recycling items such as plastic bottles and cans. Incentives are provided if people bring them to designated points, such as free tea for every full bag of recycling presented. All you need to do to claim your free cup of tea is to pick up the litter in and around your tent, pop it all into the freely available black waste and green recycling (cans, plastic bottles, newspapers, leaflets, cartons) bags and take a full(ish) bag to the recycling station in your campsite. And you can do that each and every day if you like. Each camping zone has a waste/ recycling hub, staffed by the zero waste team who will happily assist with bags and advice to get campers sorted. A big problem in 2014 was many campers left waste in their camp until departure on Sunday, leaving behind a mountain of putrefying rubbish. By getting it sorted often you will prevent contamination of recyclables with compost and waste. 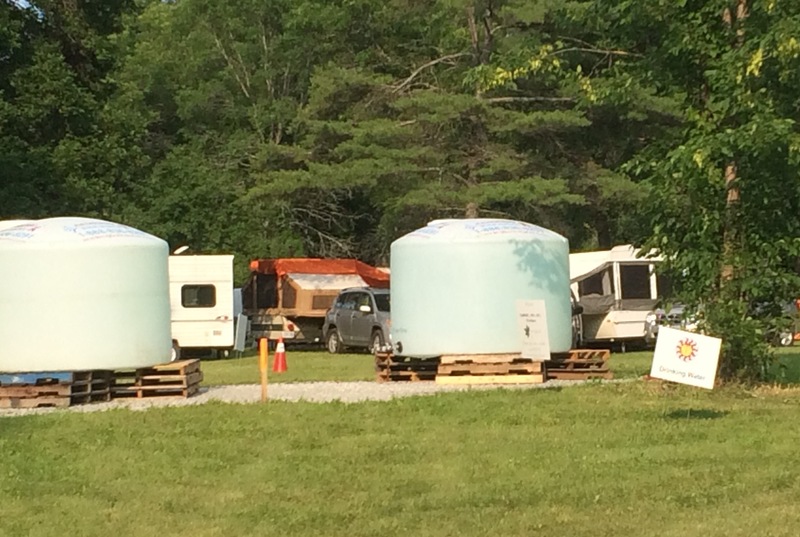 Also watch out for the mobile ‘curbside’ waste collection happening throughout the campsites on Saturday afternoon. 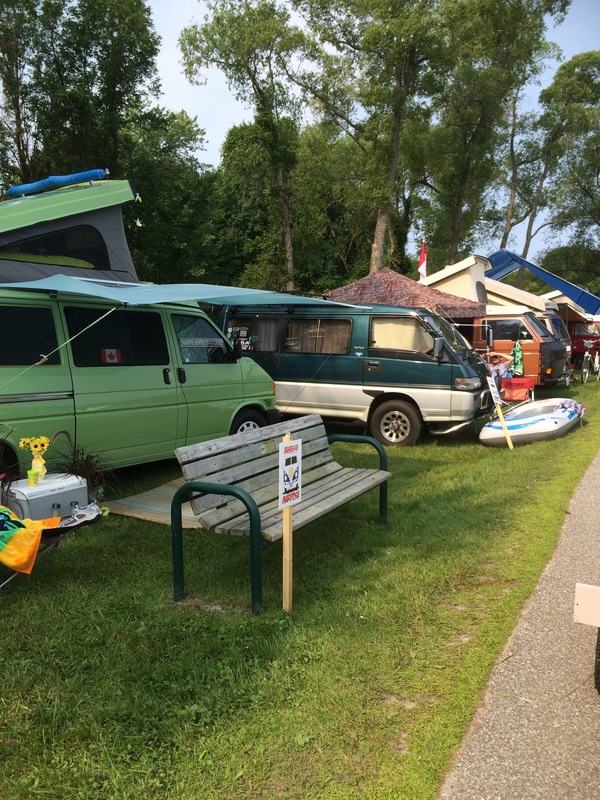 Being environmentally friendly at a festival requires campers and attendees to help out and become involved as well. 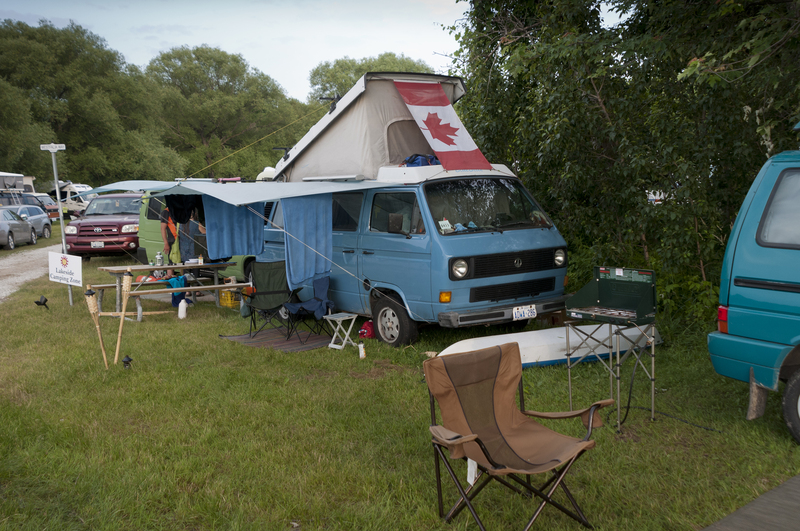 Every camper entering the site is given and is encouraged to use separate bags for garbage and recyclables, and several barrels for garbage and recycling are placed throughout the site.